Good move? Is this the right call for the teenage rookie? Detroit Red Wings general manager Ken Holland confirmed this morning that the team will NOT make rookie forward Michael Rasmussen available to Team Canada for the upcoming World Junior Championships. The 19 year old has five goals and nine points in his first 26 pro games with the Red Wings this season. 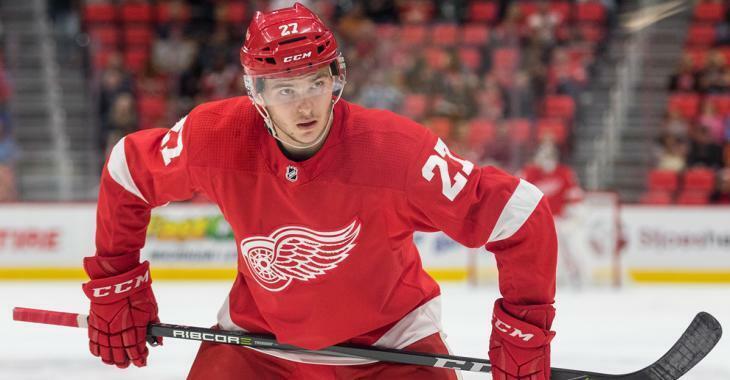 Rasmussen was a surprise cut from Canada’s 2018 World Junior squad and would have been a slam dunk to make this year’s squad at 19, but for better or worse he’ll be staying with the Red Wings.